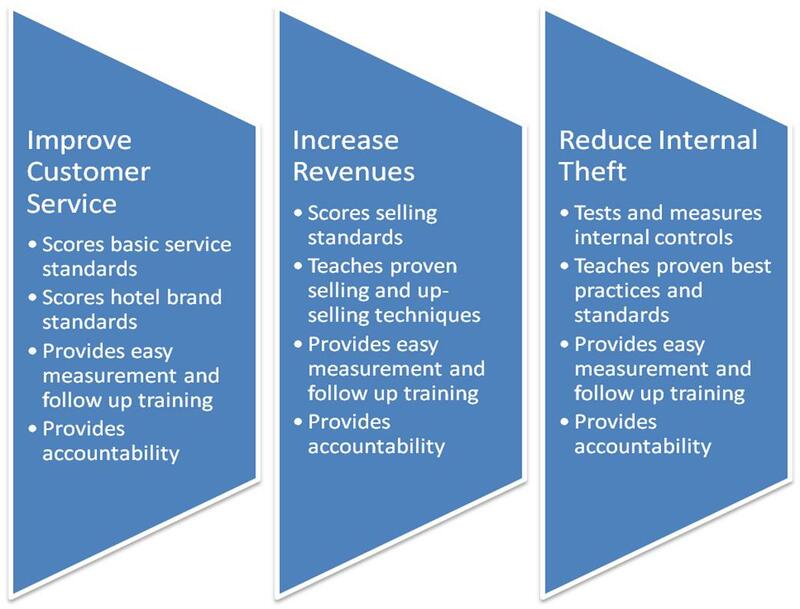 TrueGuest Service Experience Audit is the ultimate tool to train and measure associates’ abilities to serve guests, increase revenues through proper selling techniques, and eliminate internal theft. Our undercover analyst will check into your hotel and analyze every level of service from a guest’s point of view. The TrueGuest Service Experience Audit is our most complete form of mystery shopping. 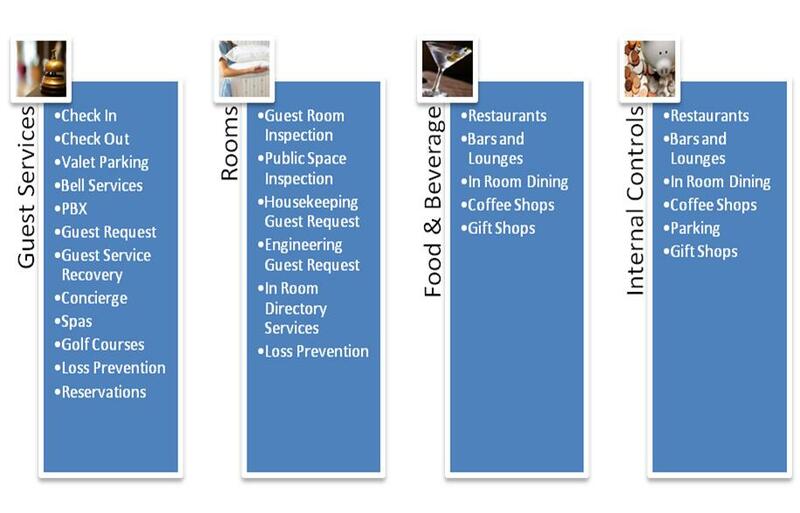 How does the TrueGuest Service Experience Audit Program Work? We break down every aspect of your service experience into a measurable standard. As a good example, excellent service at a breakfast buffet is not just a friendly smile and a tasty omelet. There are over 25 individual standards such as proper greetings, selling, and up-selling standards, and proper service standards. We create a score sheet for every single area of your hotel from Guest Services, Food & Beverage, Housekeeping, to Engineering and give you the information you need to hold your team accountable. We also provide training information and self-assessment score sheets to help you improve your service. Our Service Experience Audit succeeds where your comment card survey fails. Can the Program be Customized to Fit My Needs? Yes! Every single detail of our program will be customized to meet your brand standards as well as your hotel’s specific policies. Our analyst’s keep up to date with all of the service programs of each of the main hotel brands. If you have a boutique or non-chain hotel, we can create a customized program that incorporates your service goals and standards. What are the Main Areas of Focus with the Service Experience Audit? On the service side, we focus on building guest loyalty. Our program is weighted to help improve the guest’s personal experience and make every guest a return guest. We put a special emphasis on using the guest’s name, expressing sincere gratitude, and fulfilling every basic service standard. With selling, we focus on basic selling and up-selling strategies. We teach your associates how to ask the right questions to maximize the revenue in every area from the front desk to the restaurant. Our In Room Dining Program, in particular, has helped hotels increase their revenues by up to 50 percent. When it comes to internal controls, we focus on the traditional controls with a mix of new techniques. We prepare a scoreboard to measure every internal control. The scoreboard is then linked to articles and downloads that will help you get every important control into place. Why is TrueGuest the Right Choice for Me? TrueGuest was created by former hotel executives who have the hands-on experience that you need to evaluate your hotel. Hotels are unique and rapidly changing businesses. We have the knowledge that can only be obtained by walking the walk. Hotels are our career and our passion. Click on the Contact Us tab and give us a call or send us an email today!